Gregory James LeMond (born June 26, 1961) is an American former professional road racing cyclist who won the Road Race World Championship twice (1983 and 1989), the Tour de France three times (1986, 1989 and 1990) and is considered by many to be the greatest American cyclist of all time. He is also an entrepreneur and anti-doping advocate. LeMond was born in Lakewood, California, and raised in ranch country on the eastern slopes of the Sierra Nevada mountain range, near Reno. He is married and has three children with his wife Kathy, with whom he supports a variety of charitable causes and organizations. LeMond rode his first Tour de France in 1984, finishing third in support of team leader Laurent Fignon, and winning the white jersey of the young rider classification. The following year he was brought across to La Vie Claire to ride in support of team captain Bernard Hinault who had regained his form and was attempting to win his fifth Tour. French businessman and team owner Bernard Tapie signed LeMond with a $1 million contract over three years. In the race Hinault led through the early mountain stages, but suffered a crash and came into difficulty. At this point, it was clear that LeMond was an elite rider capable of winning the Tour in his own right. LeMond possessed a natural talent for riding the Grand Tours, and got stronger over the course of a three-week race. The injured Hinault was vulnerable, and his competitors knew it. Stage 17 included three major climbs in the Pyrenees. On the second, the Col du Tourmalet, LeMond followed Stephen Roche in an attack, but was not given permission to help build on the gap over the field. 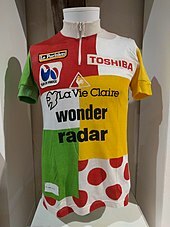 The managers of his La Vie Claire team ordered the 24-year-old LeMond not to ride with Roche, but to sit on his wheel, a tactic to use the rider in front as cover for wind resistance so the following rider uses less energy. [N 3] The pace Roche could put out by himself eventually slowed, and other riders came up to join the two men. Hinault recovered as well, though he did not regain the lead group. At the end of the stage LeMond was frustrated to the point of tears. He later revealed that team management and his own coach Paul Köchli had misled him as to how far back Hinault had dropped during the crucial Stage 17 mountain stage. Hinault won the 1985 Tour, with LeMond finishing second, 1:42 behind. 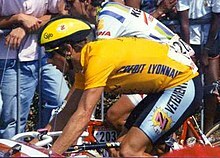 LeMond had ridden as the dutiful lieutenant, and his support enabled Hinault to win his fifth Tour. [N 4] In repayment for his sacrifice Hinault promised to help LeMond win the Tour the following year. LeMond parlayed the success of his 1989 season into the then-richest contract in the sport's history, signing a $5.5 million deal for three years with Z–Tomasso of France. He entered the 1990 Tour de France as defending champion and a pre-race favorite after leaving ADR to join the much stronger French team. At "Z" his teammates included Robert Millar, Eric Boyer and Ronan Pensec, all of whom already had finishes in the top six of the Tour de France. This unified roster of strong riders appeared capable of supporting LeMond in the mountains and controlling the race on the flats. In 1990, LeMond founded LeMond Bicycles to develop machines for himself that would also be marketed and sold to the public. The following year, searching for an equipment edge for Team Z at the 1991 Tour de France, LeMond concluded an exclusive licensing agreement between his company and Carbonframes, Inc., to access the latter's advanced composites technology. Whilst using the bikes for the 1991 Tour, he would maintain his carbon bike in his hotel room, leading his mechanics to fear it had been stolen. While LeMond briefly led the 1991 Tour overall, riding his Carbonframes-produced "Greg LeMond" bicycle, the company eventually faltered, something LeMond blamed on "under-capitalization" and poor management by his father. Carbonframes and LeMond Cycles "parted amiably two years later." In 1995, with his company allegedly nearly bankrupt, LeMond reached a licensing-agreement with Trek Bicycle Corporation, according to which the Wisconsin-based company would manufacture and distribute bicycles designed with LeMond that would be sold under the "LeMond Bicycles" brand. LeMond would later claim that going into business with Trek "destroyed" his relationship with his father. The lucrative partnership, which generated revenue for Trek in excess of US$100,000,000, would be renewed several times over the course of 13 years, but it ultimately ended in acrimony after LeMond's relationship with Trek deteriorated over his staunch anti-doping advocacy. In April 2008, Trek announced that it was dropping LeMond Bicycles from its product line and would sue to sever the licensing agreement. It quickly emerged that in March 2008, LeMond had filed a complaint against Trek for breach of contract, claiming that they had not made a "best efforts" attempt to sell his bicycles, as well as describing attempts to 'silence' him about doping, including incidents in 2001 and 2004. His complaint included statistics detailing slow sales in some markets, including the fact that between September 2001 and June 2007, Trek only sold $10,393 worth of LeMond bikes in France, a country in which LeMond was both famous and popular. As promised, Trek counter-sued and stopped producing bicycles under the LeMond brand. 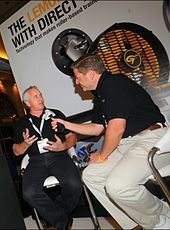 After nearly two years of litigation, in February 2010, LeMond reached an out-of-court settlement with Trek in their breach-of-contract dispute, the terms of which were confidential. The settlement permitted the case to be dismissed with prejudice, meaning, "neither side can produce the same claims against one another in a future lawsuit." And although settlement terms were not disclosed, LeMond reportedly obtained full control over the LeMond Bicycles name, while Trek made a donation of US$200,000 to the charity 1in6, of which LeMond was a founding member of the board of directors. In 2002 LeMond joined with his parents-in-law David and Sacia Morris, friend Michael Snow and J.P. Morgan & Co. fund manager Jorge Jasson to invest in the exclusive Yellowstone Club, a Big Sky, Montana private ski and golf community founded by timber baron Tim Blixseth and his wife Edra. Each of the five partners paid Blixseth $750,000 for one percent shares in the exclusive resort. LeMond also purchased several building lots and maintained a property at the resort. Four years later LeMond and partners sued Blixseth in 2006 following reports of a Credit Suisse loan to the resort of $375 million from which Blixseth reportedly took $209 million in a disputed partial payout for his ownership stake. The Credit Suisse loan was based on a $1.16 billion Cushman & Wakefield valuation of the resort, for which LeMond and partners each sought $11.6 million for their one-percent shares. 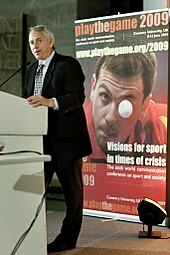 In 2007, LeMond settled his suit with the Blixseths for $39 million; however, he and his partners remained creditors as the Blixseths defaulted on a $20 million payment (after having already paid the group $18 million), followed by their divorce and the bankruptcy of the Club in 2009. LeMond founded LeMond Composites in 2016 to manufacture high-volume, low-cost carbon fiber composites under a licensing agreement with the Oak Ridge National Laboratory and an exclusive 20-year licensing agreement with Deakin University. LeMond and his family moved from Minnesota to Oak Ridge, Tennessee to be close to the $125 million LeMond Composites manufacturing facility. On October 16, 2017, Australian politician Sarah Henderson announced that LeMond Composites would receive AU$2.5 million (US$1.92 million) in Australian Federal Government funding to establish a carbon fiber manufacturing plant in Geelong, Australia. ^ Moore 2012, p. 67. ^ Andrews 2016, p. 252. ^ a b Moore 2012, p. 54. ^ Moore 2012, p. 55. ^ LeMond & Gordis 1987, p. 16. ^ a b LeMond & Gordis 1987, p. 20. ^ LeMond & Gordis 1987, p. 22. ^ a b LeMond & Gordis 1987, p. 24. ^ LeMond & Gordis 1987, p. 25. ^ LeMond & Gordis 1987, p. 26. ^ LeMond & Gordis 1987, p. 27. ^ LeMond & Gordis 1987, p. 28. ^ Moore 2012, pp. 67–69. ^ Moore 2012, p. 69. ^ McGann & McGann 2008, p. 146. ^ Moore 2012, p. 132. ^ McGann & McGann 2008, p. 153. ^ a b c d McGann & McGann 2008, p. 161. ^ Moore 2012, p. 148. ^ a b Moore 2012, p. 149. ^ a b Moore 2012, p. 192. ^ Moore 2012, p. 181. ^ McGann & McGann 2008, p. 165. ^ Moore 2012, pp. 202–203. ^ Moore 2012, p. 201. ^ a b Moore 2012, p. 252. ^ Abt 1990, p. 113. ^ McGann & McGann 2008, p. 187. ^ McGann & McGann 2008, p. 189. ^ a b McGann & McGann 2008, p. 89. ^ McGann & McGann 2008, p. 196. ^ "Greg LeMond and family put a lien on a development compound to secure a $20 million debt". VeloNews. Competitor Group, Inc. February 22, 2008. Archived from the original on July 9, 2015. Retrieved May 27, 2013. ^ a b Sheets, Megan (September 26, 2017). "Tour de France champion Greg LeMond's Minnesota home for sale at $5m". Mail Online. Archived from the original on September 30, 2017. Retrieved October 31, 2017. ^ Kantowski, Ron (May 31, 1997). "Crashing on the Learning Curve Greg Lemond Trades Two Wheels for Four and Turns into a Real Crack-Up". St Louis Post-Dispatch. Retrieved November 27, 2012. ^ a b Porter 2013, p. 211. Wikimedia Commons has media related to Greg LeMond.